The Argentine saw the card for obstructing a free kick. Godín and Thomas add four cards and are one to miss a game. Angel Correa can not be in the Madrid derby that will face Atlético de Madrid and Getafe on Saturday January 26 (16:15). 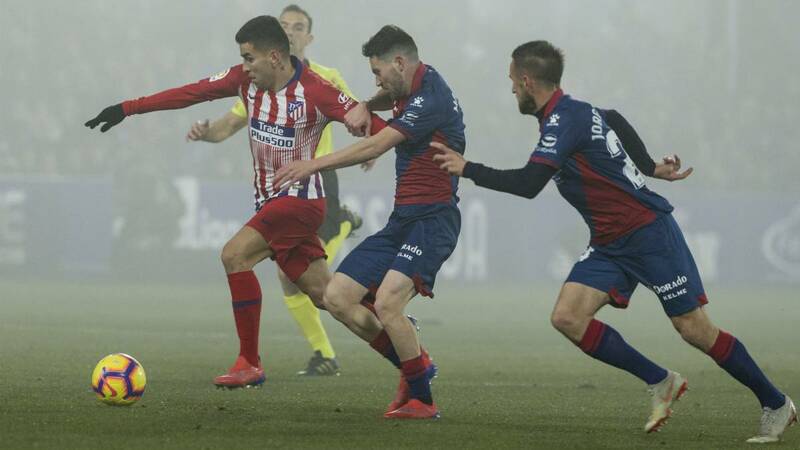 The Argentine striker saw his fifth yellow card in Liga after hindering a free kick from Huesca in the 63rd minute of the match and will have to meet a penalty game. El Atlético could only count on 13 players of the first team in El Alcoraz and hopes to recover cash for next weekend. Godín and Thomas are the other two rojiblancos footballers who are under penalty sanction, since they chained several league matches with four yellows in their locker, but they got rid of seeing the fifth in Huesca. A waiting for a possible arrival of Alvaro Morata, which would mean losses in the template with Kalinic and Gelson on the exit ramp, Atletico also has out of combat to Saúl, Vitolo and Diego Costa among their offensive players. In defense Filipe Luis and Savic continue with their recovery process, where the Brazilian is expected in the coming dates after starting to play ball in training.